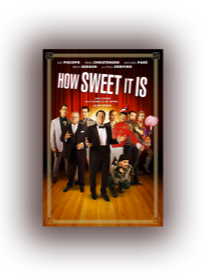 "How Sweet It Is" starring Paul Sorvino, Erika Christensen and directed by Brian Herzlinger, just finished it's limited release at theaters in New York, New Jersey and Los Angeles. Buy the DVD at Amazon now! Sarah, you are the best. Work ethic second to none." HOT HOT HOT!!! Your choreography always amazes me! You always exceed my expectations! !